Governor Mitch Daniels has declared March Agriculture Appreciation Month in Indiana. This most appropriate Hoosier celebration is an extension of National Ag Week, March 13-19, a week designated by the Agriculture Council of America to recognize and celebrate the vital role agriculture plays in every aspect of our lives—from food to fiber to fuel—and agriculture’s contributions to maintaining a strong economy and providing safe, abundant and affordable products. As we celebrate Agriculture Appreciation Month, we are also celebrating the accomplishments and impact of one of the publicly supported organizations that supports our agricultural industry: Purdue Extension. This concept of taking the University to the people of the state may well be the most distinguishing feature of our land grant university model. And, Purdue Extension is certainly making a difference for Indiana agriculture, and more broadly, our state, nation, and world. But Purdue Extension is not just about agriculture and it is certainly not just about campus. We are also celebrating our County Educators and the many ways they engage people in all 92 Indiana counties. Purdue Extension is about improving the health of the people of the state. The Family Nutrition Program, in partnership with Purdue Extension, the U.S. Department of Agriculture, and the Indiana Family and Social Services Administration, helps low-income Hoosiers learn to make healthy food choices on a limited budget and make wise food purchasing choices with their food stamps. Last year, the Family Nutrition Program helped more than 212,000 people and indirectly reached another 547,000. Purdue Extension is also about economic development, with workshops, classes, and other resources to help entrepreneurs grow successful businesses. Programs such as New Ventures in Food and Agriculture for Indiana, which supports evaluation and development of new business ventures, and INVenture, a Web-based interactive business planning tool, are helping entrepreneurs bring their ideas to life. To date, nearly 7,000 Hoosiers have used INVenture to develop business plans. Indiana's children are learning more about economic concepts, personal finances, and budgeting, thanks to the "Budget Busters" game and other programs from Purdue Extension. Taught by Elkhart County Extension educator Laurie Sula, the “Budget Busters” game uses role playing to teach students how to make decisions about earning and spending money. Of course, Purdue Extension supports 4-H, the largest youth development organization in Indiana. Through 4-H, Purdue Extension connects with approximately 200,000 Indiana young people annually. More than 94% of these young people intend to pursue post secondary education. Across the state this month, we will be lifting up Extension and the many, many ways it makes a difference for the people of Indiana. Thanks to Director Chuck Hibberd and all of our Extension Specialists, Extension Educators, and staff for all they do to make Purdue Extension as relevant and impactive today as it was when the idea was conceived some 100 years ago. (For more on how Purdue Extension is making a difference, check out http://www.ag.purdue.edu/extension/makingadifference/). State Line Items: The original recommendations from the Indiana Commission for Higher Education (ICHE) and the Governor had proposed 15% cuts in each of the State line items that fund County Extension, Crossroads Research and Extension, and the Animal Disease Diagnostic Laboratory (ADDL). The Indiana House budget proposal cuts County Extension and Crossroads Research and Extension by 7.5% instead of the proposed 15%. The ADDL line item cut remains at 15%. I have no doubt that the efforts of PCARET, our grassroots advocacy group, in contacting legislators and communicating the importance of funding our line items played an important role in the smaller cuts that came out in the House budget. That said, these are still deep cuts and we will continue to work to get back to flat funding. Federal Funding for Extension and Research: the U.S. House of Representatives passed a Continuing Resolution would cut $217 million (over 15%) from critical food, agriculture and natural resources research, extension and education programs in fiscal 2011—more than 1.5 times greater than the 10.3% cut proposed in overall non-defense discretionary spending. The first proposal on the Senate side is not nearly as drastic – the total cuts would be on the order of 5.5%. Obviously, the federal funding situation is very fluid right now. We have a number of advocacy efforts currently in process, including contacts made by our national CARET and state PCARET groups. Among other efforts, we have developed a “Making a Difference” print piece to highlight benefits of the research and Extension programs for use by the CARET and PCARET delegations in their visits to our Congressional delegation in March. As you would imagine, considerable effort is going into budget planning for the various scenarios that may emerge. That said, we are a long way from knowing what our budget will look like for fiscal 2012, and will be making every effort to advocate for appropriate funding for the College. Thanks very much for your hard work as we get through these ‘interesting’ budget times. Please let me know if you have questions or ideas on things we should be doing. J. Marcos Fernandez, professor and associate dean at Pennsylvania State University’s College of Agricultural Sciences, has been appointed associate dean and director of academic programs for the College of Agriculture, effective July 1. At Penn State, Dr. Fernandez supports faculty and staff in teaching and advising, coordinates student recruitment and retention programs, leads curricular revitalization efforts, enhances globalization of teaching and learning activities, and administers and expands the college’s scholarship programs. Before his work at Penn State, Dr. Fernandez was a member of the faculty at Louisiana State University’s Department of Animal Sciences; assistant research professor at Langston University in Oklahoma; and a research and teaching assistant at North Carolina State University and the University of Tennessee. Dr. Fernandez’ research has focused on metabolism and nutrition in livestock species, including cattle, sheep and goats. He has taught several introductory and advanced agriculture and animal science courses and has been recognized with numerous teaching awards and honors. He has been active in many professional organizations, university committees and governmental panels. Dr. Fernandez received a bachelor’s degree in agriculture from Illinois State University in 1980, a master’s degree in animal science from Tennessee in 1983 and a doctoral degree in animal science from North Carolina State in 1987. "I am very enthusiastic about Marcos’ leadership in our college," Dean Jay Akridge said. "I am convinced the leadership experience he brings to this job will help the college move our academic programs forward in an important way." Welcome to Alan G. Mathew, who joined the Department of Animal Sciences as head on March 1. Dr. Mathew came to Purdue from the University of Tennessee, where he had been since 2003. He earned a bachelor's degree in biology in 1976 and a master's degree in 1978 and doctorate in 1991 in animal science, all from Purdue. Before becoming a professor and head of animal science at the University of Tennessee in Knoxville, Dr. Mathew was involved in research, teaching and Extension activities as an assistant professor and associate professor at the university. The Animal Sciences department will host a reception on March 9 at 3:30 in the Pfendler Gallery to both welcome Dr. Mathew and thank Dr. Alan Sutton for his outstanding service as Interim Head. Purdue Agriculture welcomes Orlando E. Garcia, the new Program Manager for the Office of Multicultural Programs. Orlando is originally from East Chicago, Indiana. He graduated from Bishop Noll Institute-Hammond, and received his bachelor's degree in organizational leadership and supervision from Purdue Calumet in 2003. Orlando began his professional career working for the Lake County Parks and Recreation Department as their Waterfront Supervisor for Whihala Beach County Park. In 2008, he came to Purdue and took the position of Residential Life Manager/Hillenbrand Hall for University Residences. Orlando says he is very excited about his new position and the support he will provide in helping recruit and retain first- generation and underrepresented students for all of the academic departments in the College of Agriculture. Purdue will participate in a $20 million U.S. Department of Agriculture research, education and Extension program aimed at keeping Midwest corn-based cropping systems resilient in the face of future climate uncertainties. Purdue will receive $1.4 million for its portion of the five-year project NIFA project. Led by agronomy professor Eileen Kladivko, Purdue researchers will create a database of plot, field and farm data that can be combined with climate data to evaluate and improve resilience of crop management practices. Philip Owens, assistant professor of agronomy, will use soil information to show how the field-scale research can be applied to increase sustainability of corn systems in an eight-state north-central region that includes Indiana. Other Purdue faculty involved are Laura Bowling, associate professor of agronomy, and Jane Frankenberger, professor of agricultural and biological engineering. Bryan Pijanowski, Forestry and Natural Resources, is leading an effort to create a new scientific field that will use sound as a way to understand the ecological characteristics of a landscape and to reconnect people with the importance of natural sounds. Soundscape ecology, as it's being called, will focus on what sounds can tell people about an area. Pijanowski is lead author of a paper outlining the field in the journal BioScience. He says natural sound could be a critical first indicator of environmental changes and could be used to detect early changes in climate, weather patterns, the presence of pollution or other alterations to a landscape. In a move that will strengthen the already strong partnership between Purdue Agriculture and Dow Agrosciences, the company announced on March 8 that it is relocating its Seed Quality Control Lab to the Purdue Research Park. The lab is currently based in Iowa. The new facility in West Lafayette will be larger and construction should be completed this year. Angus Murphy, Horticulture and Landscape Architecture, and researchers in Japan have produced a new class of improved plant growth regulators that are expected to be less toxic to humans. Murphy said the growth inhibitors block the transport of auxin, a plant hormone that, when transported throughout the plant, controls growth processes. Current growth regulators that inhibit auxin transport are inefficient because they also have hormone-like activity or affect other important plant processes. Current growth inhibitors also are often toxic. Growth regulators are important in ornamental plants and horticultural crops that would require labor-intensive manipulation and pruning. The inhibitors are used to keep plants a desired size and shape and control fruit formation. People interested in learning about the causes, prevention and treatment of arthritis in rural populations have the opportunity to attend the Arthritis, Agriculture and Rural Life Conference May 11-13 at Purdue. The conference at the Beck Agricultural Center will feature keynote speakers, workshops and networking opportunities. Topics will include gardening with arthritis, rural women with rheumatoid arthritis, prevention in farm youth, health education, ergonomic workshops and solutions for enhancing the quality of life for arthritis sufferers. The event also will include an onsite session at the Purdue Animal Sciences Research and Education Center. Participants will visit dairy, swine, grain storage, machinery and other facilities, where they can see firsthand the daily stresses that affect individuals with arthritis in the rural workplace. Extension educators, occupational and physical therapists, nurse practitioners, ergonomists, members of state departments of health, farm business representatives and others are encouraged to attend. Whether immigrants to the United States are motivated to learn English depends on a variety of conditions, such as where they will live, how educated they are and whether they need to know the language for their job, a Purdue study finds. Their ethnic background, gender and even whether they are married also can influence whether they learn English, said Brigitte Waldorf, Purdue agricultural economist and the study's lead researcher. "The likelihood of speaking English well among the immigrant community is very much dependent on who the immigrants are," Prof. Waldorf said. Using genetic methods to count endangered eagles, a group of scientists showed that traditional counting methods can lead to significantly incorrect totals that they believe could adversely affect conservation efforts. Andrew DeWoody, Forestry and Natural Resources; Jamie Ivy, population manager at the San Diego Zoo; and Todd Katzner, a research assistant professor at the University of West Virginia, found that visual counts of imperial and white-tailed sea eagles in the Narzum National Nature Reserve of Kazakhstan significantly underestimated the imperial eagle population there. Using DNA from eagle feathers gathered in the area, the researchers were able to identify individual DNA fingerprints for each bird. Purdue Extension's expertise in helping military families is a key ingredient in President Obama's new initiative to increase support to families of deployed military members. Purdue was selected to coordinate a program that brings together at least 30 land-grant universities and the Extension system to provide family and youth development programs to military families nationwide. President Obama on Jan. 24 announced the government-wide initiative Strengthening Our Military Families: Meeting America's Commitment. The initiative includes a partnership between the departments of Defense and Agriculture, which will use the resources of its Cooperative Extension Service to carry out some of the nearly 50 programs in the report. The College of Agriculture and the College of Science are challenging each other and the other colleges with faculty in the Purdue University Center for Cancer Research – to get up, get fit, and give back! All Agriculture faculty and staff are invited to join in this challenge in support of the Purdue University Center for Cancer Research CHALLENGE, a 5k walk/race on Saturday, April 9 to benefit cancer research here at Purdue. The college with the largest number of participants will be rewarded with bragging rights announced on stage at the race, pizza gift certificates and most importantly, the satisfaction of helping fight a disease that touches us all directly or indirectly. Friendly (non-monetary) wagers between labs, departments and even other colleges are encouraged! The funds raised directly support research happening here at our NCI-designated cancer center. In the first three years of the CHALLENGE, more than $130,000 has been raised for cancer research here at Purdue, while at the same time honoring those in our community battling this difficult disease. Jamie Steiner, a senior majoring in quantitative agricultural economics, and Emilia Czyszczon, a sophomore in Ag and Biological Engineering, are featured in the latest “5 Students Who…..” on the Purdue University web site. Jamie has made her mark with undergrad research on Indiana K-12 school consolidation. Using Department of Education data, she found that larger enrollments did not correlate with lower achievement, as might be expected. Emilia discovered a previously unidentified virus that will bear her name: Czyszczon1. Celebrating its 100th anniversary, Purdue Extension continues to make a difference, providing the link between Land Grant research and Indiana residents. Explore Extension’s rich history during the "100 Years of Agricultural Extension" exhibit that runs until May 31. The exhibit is in the Virginia Kelly Karnes Archives and Special Collections Research Center, fourth floor, HSSE Library, Stewart Center. Hours: 9:00 a.m.-4:30 p.m. Check the College of Agriculture calendar for the Research on Diversity and Inclusion Lecture Series. Supported by the Office of the President and the Office of the Provost, the series will feature five leading academic speakers on diversity and inclusion. The lecture series is sponsored by the Office of the Vice Provost for Diversity and Inclusion, Diversity Resource Office, Global Policy Research Institute, College of Agriculture, College of Education, College of Engineering, College of Health and Human Sciences, Krannert School of Management, College of Pharmacy, College of Science, College of Technology, College of Veterinary Medicine, The Graduate School and Purdue Libraries. 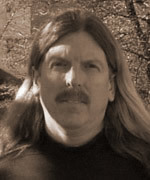 Andrew DeWoody, Forestry and Natural Resources, has been selected to receive the 2011 Purdue University Agricultural Research Award. This award is the highest honor given by the College and reflects the exceptional contributions Andrew has made to the field of ecological and evolutionary genetics. Andrew is the FNR faculty member to receive the award. He will deliver the Ag Research Award lecture on May 2. Marshall Martin, Senior Associate Director of Agricultural Research Programs and Assistant Dean and Professor of Agricultural Economics, received the Indiana Crop Improvement Association’s Crops & Soils Merit Award at the Corn Belt Seed Conference in February. The award was made in recognition of Marshall’s contributions to the ICIA as well as his long service to the Indiana agriculture industry. Andrew Oppy, academic advisor in Agricultural Economics, received the Outstanding New Professional Award from the Purdue Academic Advising Association (PACADA). In addition to advising undergraduate students, Andrew is advisor to the Agribusiness Club and co-advisor to the Agricultural Economics Envoys. He also teaches the department's freshman orientation course. Amber Courter, a senior in Animal Sciences, has been selected to the 2011 All-USA College Academic Team. The team is selected by a panel of judges from among hundreds of outstanding college juniors and seniors for scholarship, leadership, accomplishment and service. Rebecca Logsdon, doctoral student in Agricultural and Biological Engineering, has been selected for the American Society of Agricultural and Biological Engineers (ASABE) Robert E. Stewart Engineering Humanities Award. This award is given to one student each year to “recognize outstanding contributions to the advancement of interaction of the profession and the humanities”. She will receive this award during the ASABE Annual International Meeting in August in Louisville, KY.
Andy Robinson, graduate student in Botany and Plant Pathology, received the Indiana Seed Industry Graduate Study Award from the Indiana Crop Improvement Association at the 2011 Corn Belt Seed Conference in February. Manaz Taleyarkhan, an undergrad student in Forestry and Natural Resources, was part of a team that won third prize in the Burton Morgan Business Plan competition. The team claimed the $5,000 third prize for RollOut Green, a floral garden arrangement firm. A team of Agronomy students, Cody Whitis, Justin Shirley, Joey Gerking, and Zak Peterson, placed 1st out of 32 teams at the seventh annual Student Challenge Exam at the Sports Turf Managers Association (STMA) Meetings in Austin, Texas. A second Purdue team made up of students Tony Feitz, C.J. Coy, John Thackery, and Steve Vonderheide placed 8th in the competition. Dr. Cale Bigelow serves as advisor to the teams. Three students in Agricultural and Biological Engineering earned awards in the poster competition at the Institute for Biological Engineering annual meeting in Atlanta Georgia. Matt Stensberg was awarded 3rd place on his work on silver nanotoxicity in Daphnia. Jonathan Claussen was awarded 2nd place for his work on modeling/engineering nanomaterial platforms for biosensing. Jin Shi won the grand prize for his work on developing glucose micro/nanobiosensors and their application in studying pancreatic bets cells and diabetes. All three students are advised by Dr. Marshall Porterfield. Purdue plans to pursue an opportunity to bring Indiana-style innovation to New York City. In response to a request to higher education institutions by Mayor Michael Bloomberg, Purdue will submit a plan to develop a premier applied science and educational research facility and campus in New York City. The city seeks to strengthen its applied-sciences capabilities, specifically in fields that lend themselves to commercialization opportunities. Cultural expertise, business guidance and consulting services are just some of the resources Purdue can offer Indiana communities interested in expanding economic development with China through a new initiative university officials announced on Feb. 25. The initiative, which will be housed in International Programs, is a joint effort with the Office of Engagement. It leverages Purdue's various assets to promote Indiana's economic development on a global scale by generating trade and investment opportunities for Indiana firms and communities while simultaneously advancing Purdue's learning and discovery missions. China is the first country being sought to engage in this initiative. Faculty members in STEM areas are invited to participate in ADVANCE-Purdue research into the makeup and variety of career journeys, as well as how to improve faculty support, through upcoming "storytelling circles." The circles are one approach to collecting firsthand accounts for the Academic Career Pathways study in ADVANCE-Purdue, a program funded by the National Science Foundation and established to increase the numbers and success of women in STEM tenure-track positions.